Rosedale Avenue is situated in a small subdivision called “Rose’s East View Addition.” The subdivision was created in the 1920’s when John J. Rose divided up his farmland and started selling it off – parcel by parcel. Rosedale Avenue marked the northern boundary of Rose’s farm, and is named after the Rose family. According to his obituary, John J. Rose was born on March 26, 1869 in a log cabin facing what is now Veteran Acres Park. He was the son of Nicholas Rose and Fredericka Rosenthal Rose, who had immigrated from Germany in the early 1860’s. John lived his entire life in the Crystal Lake area. 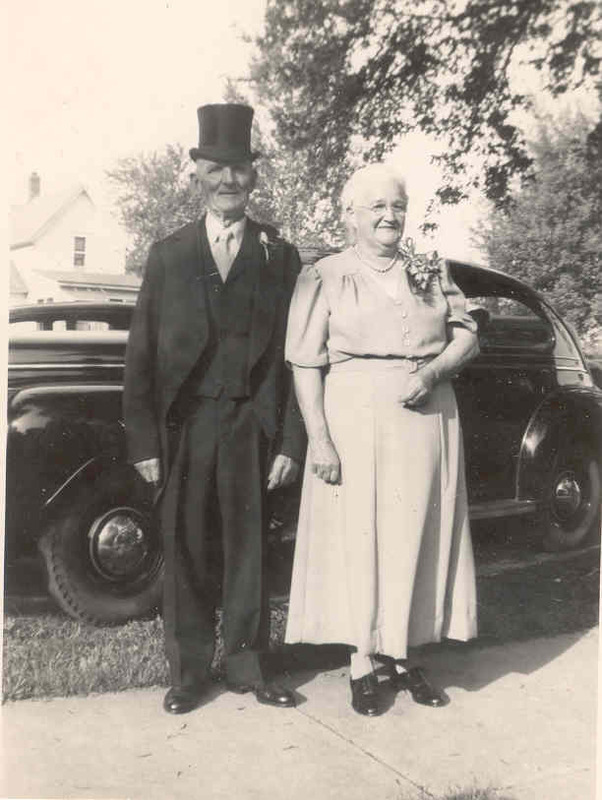 Sometime in the late 1800’s, Nicholas Rose purchased over 60 acres of farmland in Grafton Township, just west of Crystal Lake. The western border of the farm runs along today’s Briarwood Road. Nicholas and Fredericka Rose had four children. John was their oldest son, and therefore assumed the duties of running the family farm. Rose’s large dairy farm was very successful. The Rose family owned houses in Chicago and Crystal Lake, often traveling back and forth between homes. On May 19, 1894, John J. Rose married Emma Dassow in Chicago. The couple had four children: Arthur (1894), Frederick (1896), Violet (1909) and Lillian (1910). All were born on the farm west of Crystal Lake. Sometime between 1915 and 1920, the decision was made to sell the Rose farm property. R.A. Cepak purchased the land and created a large subdivision. The Rose’s purchased land on McHenry Avenue, right across the street from Immanuel Lutheran Church. The property extended south and east through today’s Colby subdivision. John J. Rose had only lived on this land for about ten years when he decided to subdivide the property. His house was located on McHenry Avenue, across from Immanuel Lutheran Church. Rose actually owned several homes on McHenry Avenue, and may have lived in different structures at different times. John J. Rose passed away on February 18, 1951. His wife Emma died two months later on April 20, 1951. Both are buried at Union Cemetery near their youngest daughter, Lill Rose Geske and her family.